Charles Johnson (March 31, 1949 – June 1, 2007) was an American professional basketball player for the Golden State Warriors and the Washington Bullets of the National Basketball Association. He was an alumnus of Sequoia High School and then scored 1000 points in three years at the University of California, Berkeley. The San Francisco Warriors drafted Johnson in the 6th round of the 1971 NBA draft. The 6-foot-0, 170-pound guard played with the Warriors for five seasons and part of a sixth until he was waived in early January 1978. Johnson was a member of the 1974/75 Warriors Championship Team. After his release, Johnson was signed by the Washington Bullets in January, 1978, after a season-ending injury to Phil Chenier. 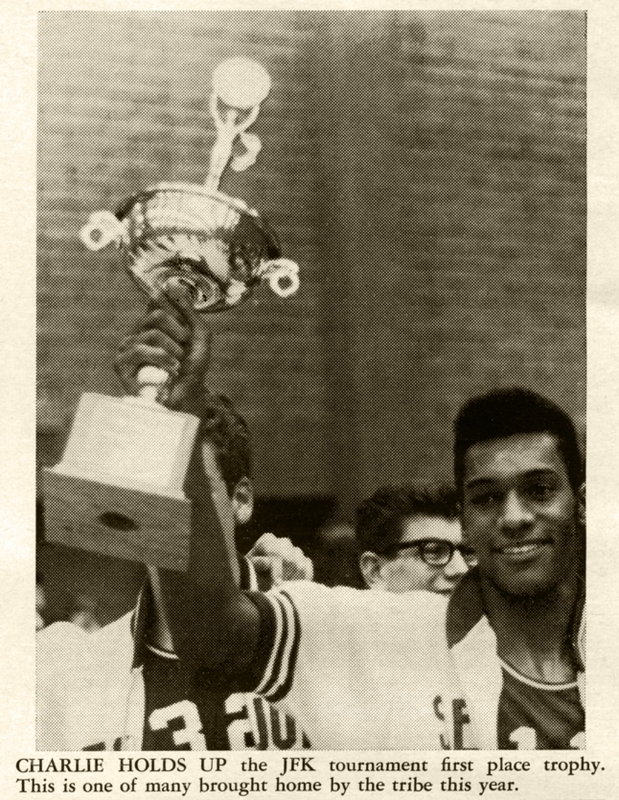 Johnson averaged 8.3 points, 2.4 rebounds and 2.1 assists as a member of the 1977–78 NBA Championship. Elvin Hayes attributed the Bullets championship run to the acquisition of Johnson. In the last four games of the 1978 NBA finals against the Seattle SuperSonics, Johnson scored 80 points and helped Washington win the series 4 games to 3. The Bullets topped the Atlanta Hawks, San Antonio Spurs and Philadelphia 76ers to reach the championship round. Johnson died of cancer on June 1, 2007, aged 58. Highlighted names have bios included. Championship game. 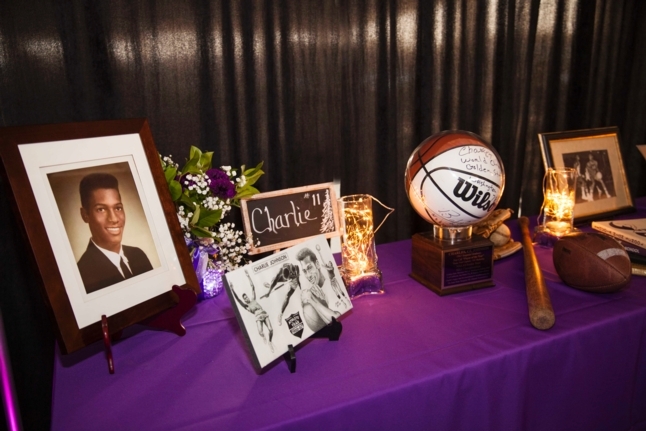 To say the least, it is very unusual because it was in a losing cause, albeit a Close game.Charlie’s basketball exploits are still legendary, to say nothing of his track Conquests. 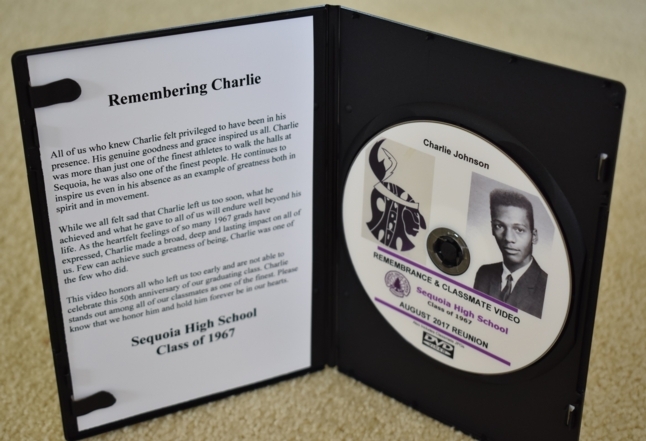 Charley, CJ, left Sequoia after graduation to attend the University of California, Berkeley, where he was the team basketball captain for the 1969, 1970, & 1971 years. He paced his California team in assists twice, averaged 7 rebounds (a superior effort considering he was less that 6 feet in height), enjoyed a 70% free throw average, and a 40% field goal average over the course of his career at Cal. He was accorded the Naismith Trophy after his senior year, awarded annually to the top basketball player in the country under six feet in height. CJ was voted into the University of California Athletic Hall of Frame in 1996. The Golden State Warrior drafted him after his graduation from Cal. 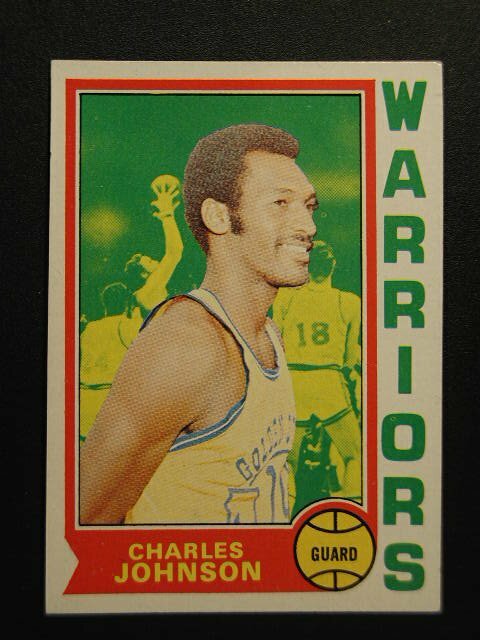 During the 1975 Season Cj helped the warriors to their only world championship, when they shocked the Basketball world by sweeping the heavily favored Washington Bullets in four games. CJ was Later traded to the same Washington Bullets, and proceeded to help them win their only NBA Championship. Prior to his death, he played scratch golf and assisted the NBA by coordinating fund raising golf tournaments for needy NBA retirees. 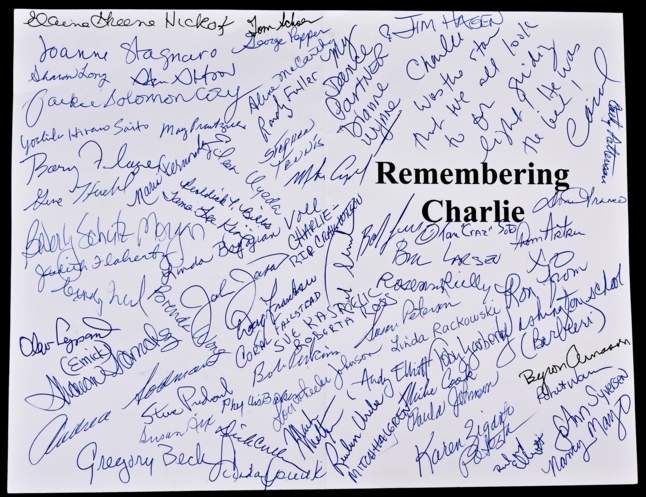 Charlie,CJ Johnson succumbed to colon cancer in 2007. Charles Johnson, a basketball star at the high school, college and professional levels in the Bay Area and a starter on the Warriors' 1975 NBA championship team, died on Friday after a long battle with cancer. He was 58. 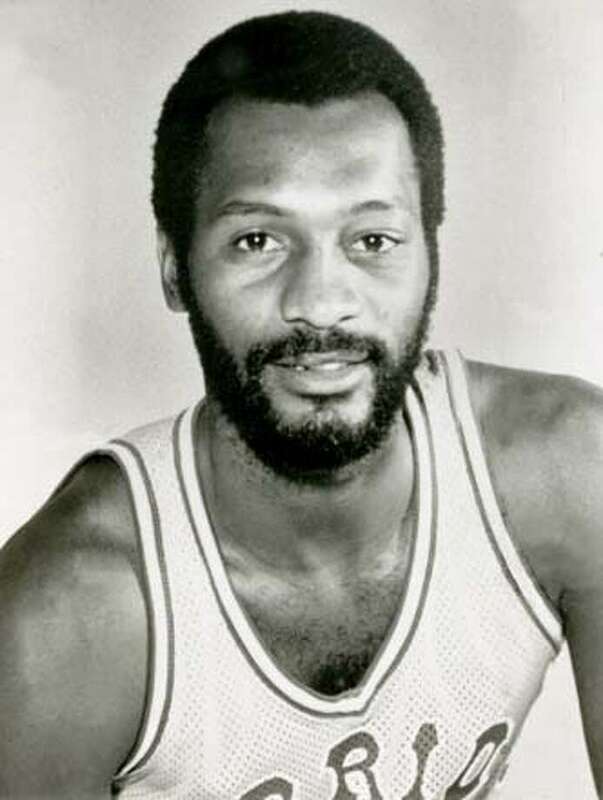 Few people knew Johnson had been ill for several years before his death, and that included Rick Barry and Clifford Ray, who were Johnson's teammates on the '75 Warriors. "He was a very private guy," Barry said. "I wish I had known, maybe I could have done something more for him. But after seeing him (last Sunday), he's in a better place. I was praying for him to be taken, the way he was suffering." Ray considered Johnson one of his closest friends, and he did not know. "But I'm not surprised," Ray said. "He didn't want to be a burden to anyone and he wouldn't want anyone to see him on his back. Martha (Johnson's longtime girlfriend) said they don't plan a funeral, that he just wanted to be cremated and have his ashes spread over the bay." Johnson spread his athletic talent over the bay for much of his life. "He was one of the best athletes ever to come through the Bay Area," Ray said. Born in Corpus Christi, Texas, Johnson became a standout at Sequoia High School in Redwood City, and won the Central Coast Conference long jump competition as well. 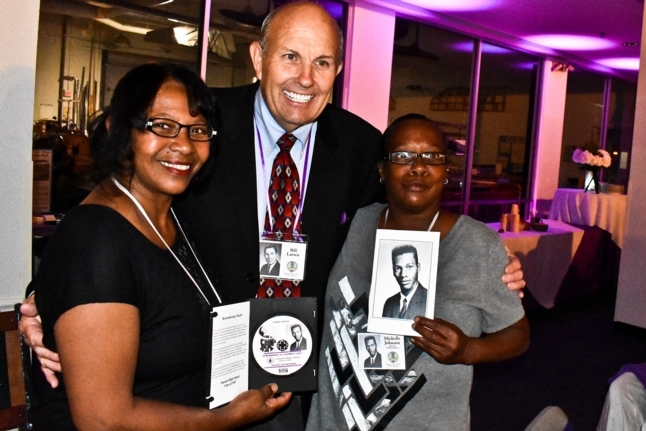 At Cal, he became a three-year starter and played on the 1971 Bears team that started five future NBA players -- Johnson, Ansley Truitt, John Coughran, Jackie Ridgle and Phil Chenier. Chenier first met Johnson in a pickup game on the Cal campus while both were still in high school. "I had heard all about him," Chenier said, "but I was surprised he was so small (6 feet). We were teammates in this game at the rec center, and I was guarding Jackie Ridgle, and after about the second or third game when Jackie was scoring a lot, C.J. didn't say anything but sort of pushed me off of Jackie and he and Jackie (who was 6-4) went at it. I could see how strong he was then." Chenier said C.J. was nicknamed "Mysterious" because he would just disappear for periods of time. That identity continued after he was taken in the sixth round by the Warriors in the 1971 NBA draft. "We were having two-a-day workouts for rookies," said Al Attles, then the Warriors coach. "He showed up for the practice in the morning, but never showed up for the one that night. The next time I knew anything about him was the next fall when he showed up, tried out and made the team." Only then did Attles discover that Johnson had gone to Mexico to play for a year. 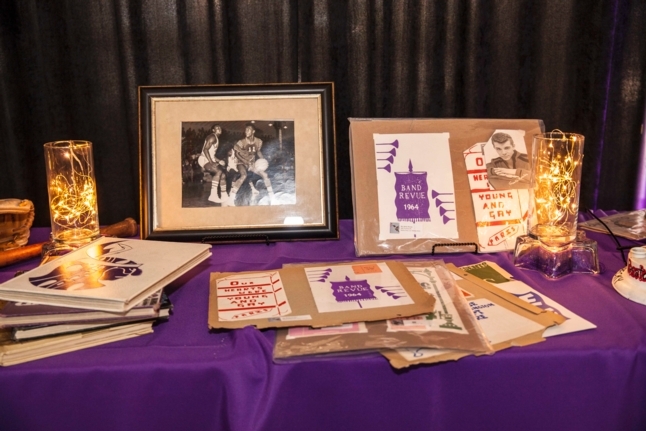 "He was very low-key, almost introverted, no fanfare," Attles said. "He wasn't caught up in the perceived glamour of the NBA." 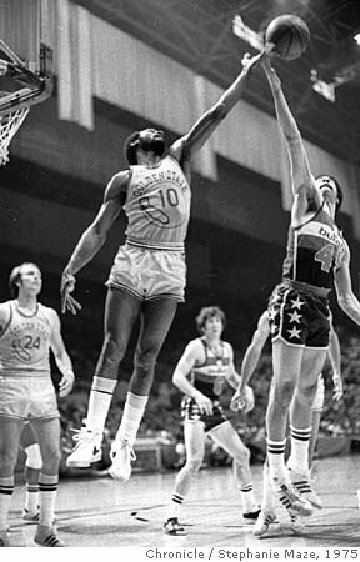 Johnson averaged 8.1 points for his seven-year pro career, and averaged a career-high 10.9 points for the '75 Warriors. A tough, physical defender and scorer, Johnson was a key part of the Warriors' four-game sweep of the Washington Bullets in the finals. "I remember (Bullets point guard) Kevin Porter was giving us a bad time," Attles said. "We put C.J. on him and all our problems went away. He didn't say anything, but he didn't take any nonsense." Johnson was traded to the Bullets in the middle of the 1977-78 season and teamed with Chenier to help the Bullets win an NBA title that year. Chenier said Johnson became more outgoing when he joined the Bullets. 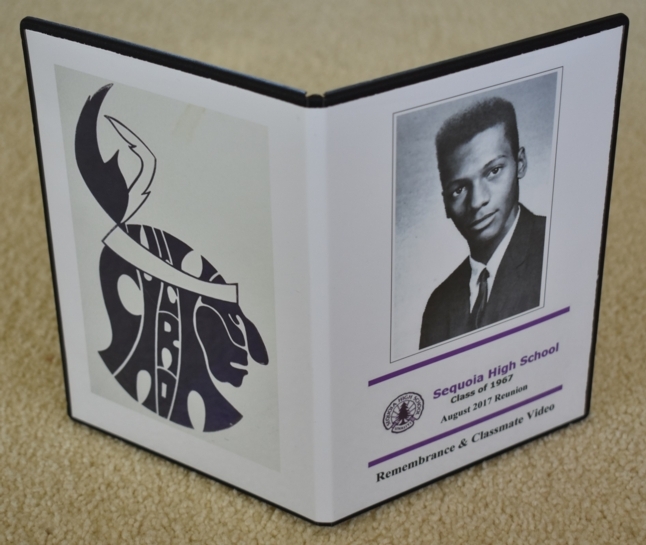 He later became proficient in tennis and golf and played in several pro-am golf tournaments. Chenier remembers Johnson shooting in the 70s when they played golf together a few years ago, and Chenier had no sense Johnson was ill. Attles, now a Warriors executive, had no inkling of the illness when Johnson called Attles five weeks ago to get tickets for a Warriors game against the Wizards.